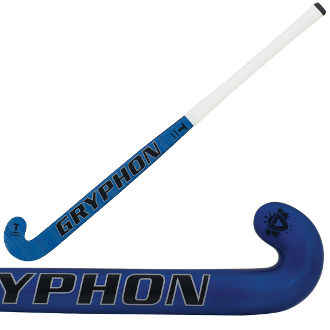 A Gryphon favorite, the T-BONE hybrid shape in the Blue Steel range is the perfect combination of technical elegance in composition and power. The T-BONE field hockey stick toe has increased surface area to aid with ball control, while a thinner back side of the toe increases back-hand and reverse skill perfection. With a 9/10 power rating, the method over materials of this field hockey stick is sure to bring your field hockey game to the next level.